fatBuzz: You Have A Personal Brand…But What The Heck Is It? You Have A Personal Brand…But What The Heck Is It? You have a personal brand. What you might not be in possession of, however, is a clear idea of exactly how those elements come together into a distinct brand definition. It’s worth taking the time to find out though because people buy people and when you know what you’re selling you increase the chance they’re buying. In this day and age, if you don’t tell people what you bring to the party, you won’t get invited. That might sound a bit harsh but it comes with a piece of good news: it’s entirely possible to subtly blow your own trumpet without sounding like an eejit…you just need to make the most of all the opportunities you have open to you. That’s why I wrote my book – Personal Branding for Brits – to give people a steer on how to create their personal brand and, just as importantly, get it out there (whether that’s in the office, out and about or online)None of what you’ll read is rocket science, it’s simply common sense stuff that tends to get forgotten as we go about our busy lives. 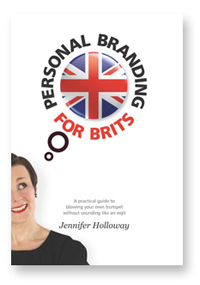 If you’d like to find out more you can read the first two chapters FREE at www.sparkexec.co.uk/personal-branding-for-brits or come along to the New Media Breakfast this July where I’ll be offering signed copies at a discount. 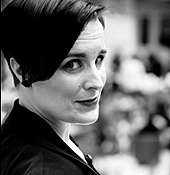 Jennifer Holloway will be speaking at the New Media Breakfast in Edinburgh on the 18th July 2013 and in Glasgow on the 26th July 2013 - Please subscribe to the New Media Breakfast mailing list to make sure you don't miss the booking details. Subscribe here.